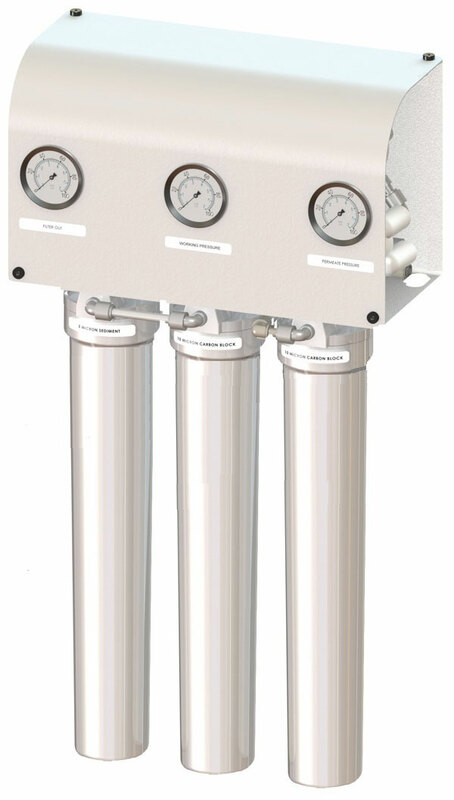 Our LP Series light commercial reverse osmosis systems are engineered in response to the need for a pump-less system / no additional pump required. Relying solely on line pressure, the LP Series systems provide lower operation costs for the consumer. It is available in 2 models that produce either 350 or 700 gallons per day. Our premium filtration process filters particles 100,000 times smaller than a human hair, reducing up to 99 percent of common contaminants.